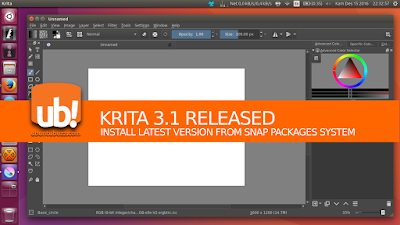 The latest Krita version 3.1 has been released at 13 December 2016. And this latest version is already available for Ubuntu 16.04 and 16.10 from the Snap Packages "repository". Here is how to do the installation. Snap is a new system to install software in Ubuntu (and another different distros) in a single package file containing complete dependencies for every application. A Snap package is a single file with .snap extension on its name. Currently, Snap packages are delivered from You should have internet access for your Ubuntu computer. A complete explanation about Snap packages is available at http://snapcraft.io. Note: you still need "sudo" here. 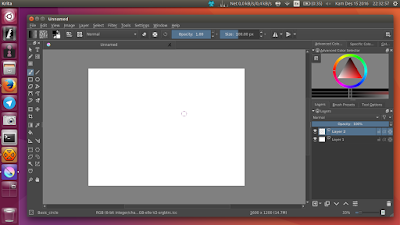 Now you can find Krita 3.1 available in Ubuntu menu. Run it.